A religious habit, as we read several days ago, is a sign of an inward consecration. 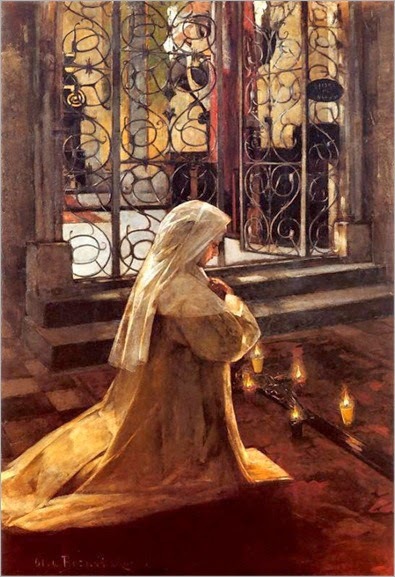 Without this consecration, I could wear every sort of wimple and every length of veil, and still I would not be a nun. God called me to a different vocation, and He has given me grace to respond to that one. Is there anything I can learn, however, from looking at the call to religious life? How does that particular call come, and how does a person respond? The following stories are ones I have found inspiring. I hope they will touch you as well. To our e-mail subscribers: this post contains a video. Beautiful testimonies of love and sacrifice..and joyful fulfilment in Christ! I was so touched by them, Trish. Thank you. I find this comment inspiring too, Nancy. And I was also moved by Mother Dolores Hart's comments about how she had no choice but to enter the convent because she fell in love. I think I love Jesus so much but then I realise that I have taken without sacrifice. Suddenly, those pesky daily trials seem so much more attractive! Oh Vicky, I needed your comment at this very exact moment!! Was feeling rather 'whiney' about a pesky little trial of my own, then came here to find this. Ah ha - my trial is a sacrifice I can offer to Our Lord - and He used what you said to remind me of this. Thank you!